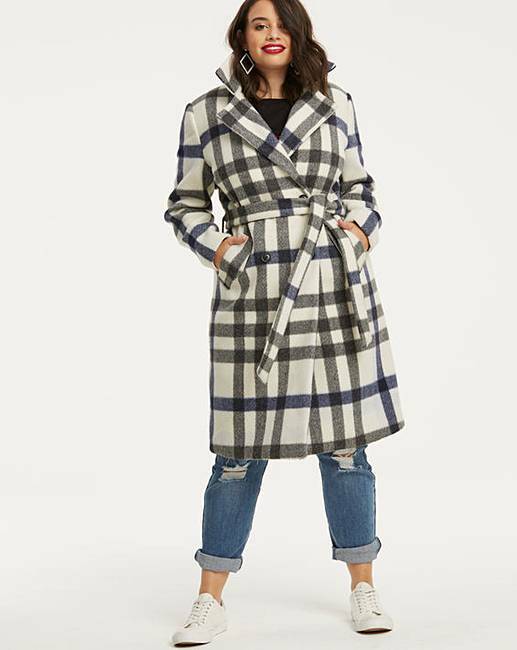 Wool Check Trench Coat is rated 4.8 out of 5 by 4. 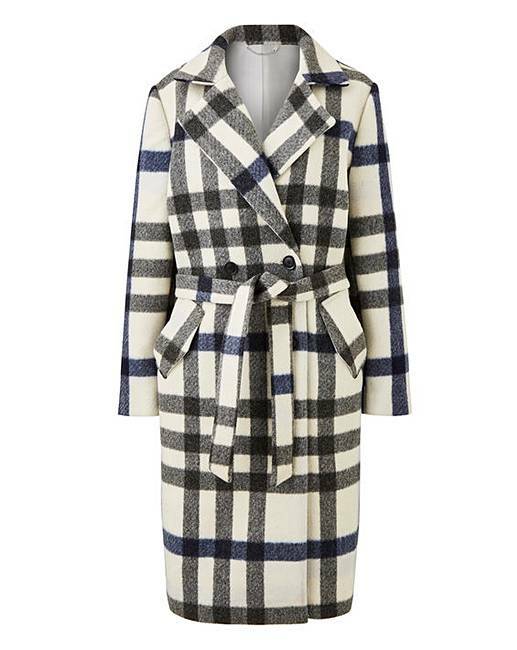 Make a statement this season in this gorgeous wool trench coat in a lovely blue and white check. Featuring an easy tie waist and pockets. Wear over your jeans and a T-shirt for a casual everyday look. When winter hits, add a cosy jumper underneath. Rated 5 out of 5 by Cassa from Love it I bought this 2 weeks ago, I haven't worn it yet but I love it. Good quality & not to heavy just right. I got it in the sale & I am very happy. 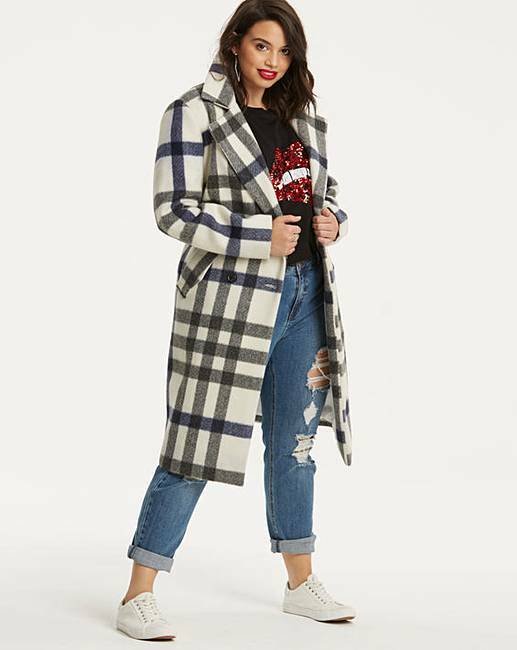 Rated 4 out of 5 by Jinnkies from Gorgeous but very heavy I’ve been searching for a nice and warm autumn/winter coat that’s stylish too and I have to say this coat ticks all boxes! It was love at first sight when I saw it online so when it arrived today I was super excited. The coat is gorgeous, lovely check, excellent quality and worth every penny.... however... first off, it’s incredibly heavy. My arm felt like it had just done a work out by taking it out of the box! Putting it on strangely it felt a little lighter but still heavy. I ordered a size 22 and I felt it was a little big, but with a thick jumper underneath would have been ok but I wouldn’t wear a thick jumper personally as I’d overheat. It’s a good length, I’m 5’6” and it came down to calf level. Looking in the mirror I also felt it made me look bigger than I am, I seemed quite swamped in it and maybe should have gone down a size. 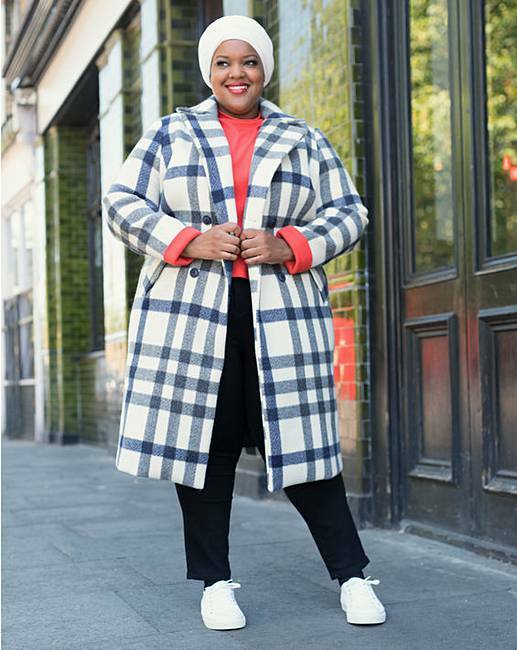 To sum up, beautiful warm coat, fabulous quality, just sadly didn’t suit me.